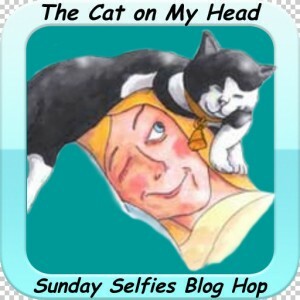 We are joining the cute cats at , The cat on my head, for their fun Sunday Selfies! Wilhelmina, " First I thought it would be nice to have a selfie of me lying down with the mountains in the background!" Wilhelmina, " But then I though this close-up was nice! But I forgot to include my stick!" Wilhelmina, " In this selfie , I included my stick (you can see it at your bottom right)." Wilhelmina, " I like this selfie best because I am thinking of all our friends and I am hoping they are happy and well!" Duffy and Wilhelmina, " We managed to find a break in the rain to walk the jetty!" 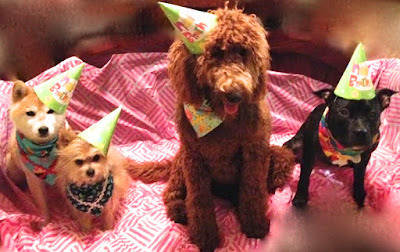 Duffy and Wilhelmina, " And we saw something that was truly spectacular!" Duffy and Wilhelmina, " Can you see the illusion of clouds on the ocean's surface?" Duffy, " Beauty is all around you , if you choose to find it." A cosy little spot with Malou. Malou, " It has been rainy and dark here in Vancouver of late. The rainy season has arrived with a vengeance! Guess who has been sharing my beloved radiator with me?!" MAlou, " LP's boots! They get quite wet after she walks the pups in the forest every day." Malou, " I don't mind sharing. Sharing is always a good quality to cultivate, wouldn't you agree? " Malou, " And since the radiator is quite long and lengthy, there is still, even with wet boots drying, plenty of room for a friend or two to join me if anyone would care to share a cosy, little spot in the cottage with me." Almost Wordless Wednesday: Keiko turns 13. 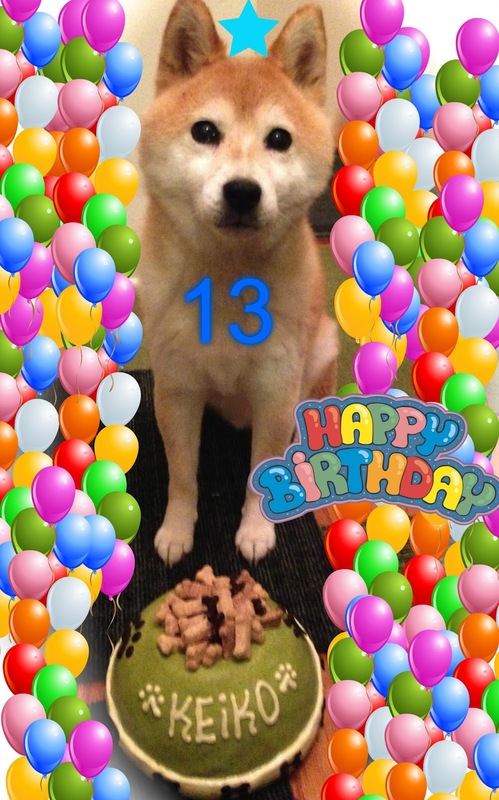 Duffy and Wilhelmina " Our friend Keiko turned thirteen years old. We had a party for him!" 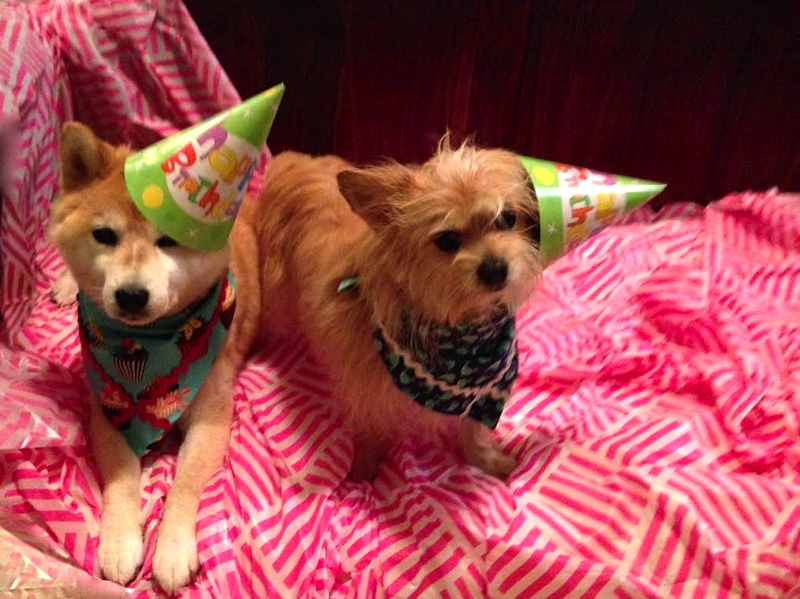 Keiko and Duffy valiantly trying to keep their party hats intact! 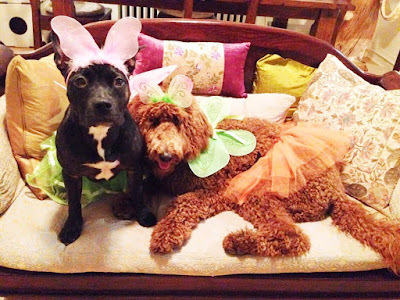 Wilhelmina and Mia, " We dressed up for Halloween! The kitties meowed an emphatic , Dress-up?, NO! this year. We hope all our friends are well and are enjoying the Fall colours. "